How can we determine the mood of a song? The lyrics give away a lot, but there’s more to it than that: the key, the timbre of the instruments, the tempo, and even the way the music is produced contributes to our emotional interpretation of a song. Sometimes lyrics don’t feature at all, yet we can all comprehend the difference in mood between Beethoven’s Moonlight Sonata and the Spring Movement in Vivaldi’s Four Seasons. Being able to understand the ‘feeling’ behind a track may seem like a uniquely human skill, yet music streaming platform Deezer has developed artificial intelligence technology to do just that, with a view to making mood playlists even more accurate. Researchers at Deezer have trained the AI system to recognise the emotion and intensity of a song using audio signals, linguistic data including lyrics, and an aggregation of Last.FM song tags describing tracks (for example, upbeat or sad). All this information amounted to a database of over 18,000 songs which the researchers used to train the deep learning system to identify the mood of different tunes. 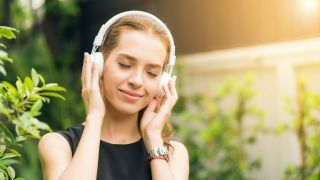 They found that using lyrics alone to determine the emotion of a song had only average results, while the link between audio and lyrics created far more accurate categorisations. Although the technology isn’t yet ready to be used in Deezer’s services, it could have a huge effect on the reliability of AI generated playlists, meaning Deezer could automatically create playlists as nuanced as ‘music for reminiscing’ to ‘calming songs that won’t make you sleepy’.